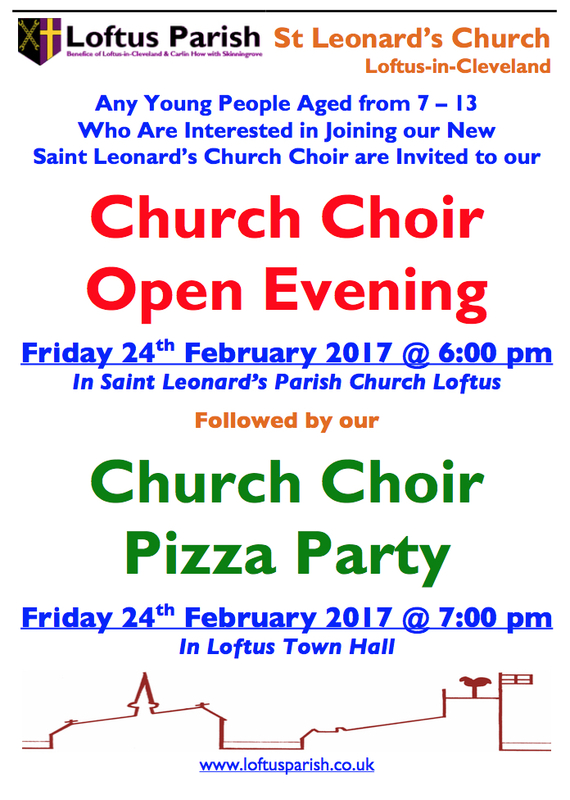 Church Choir Open Evening & Pizza Party This Friday! All are welcome! Every young person should be accompanied by a parent, guardian or another responsible adult.